Internal Security and Strategic Affairs Minister Gilad Erdan inaugurated today (Wednesday) a new police station in the Jewish Quarter of Hevron. The new station is the first Israeli police station in the city since the establishment of the State. The station will provide a response to the approximately 30,000 residents living in the area of ​​the Hevron Regional Council and nearby Kiryat Arba. 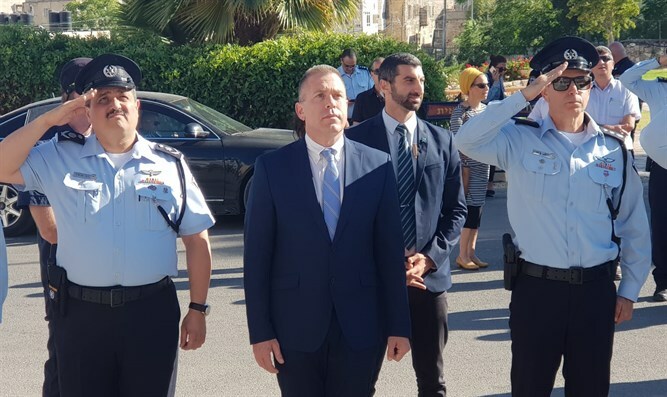 Minister Erdan spoke at the inauguration of the station, which was held at the Tomb of the Patriarchs and said, "Only tonight an explosive device was thrown at security guards in the Tomb of the Patriarchs." "They will continue to provide security to the residents of the region, who are experiencing a complex reality and are courageously standing, out of steadfastness, in building and strengthening our country. "In the hills around us where our forefathers once lived, the most natural and obvious thing happens today - a permanent police presence that includes the entire range of police services to the public, and it is clear to all that where there is a strong police presensce, there is tranquility, law, and sovereignty," Erdan said.